We are going to talk about sentences in a passive form in Swedish today. We will become familiar with the usage and creation of passive sentences. Let’s get it started! What is a passive sentence and when do we use it in Swedish? Wiki says that a passive sentence is when the noun or noun phrase that would be the object of an active sentence (such as Our troops defeated the enemy) appears as the subject of a sentence or clause in the passive voice (e.g. The enemy was defeated by our troops). 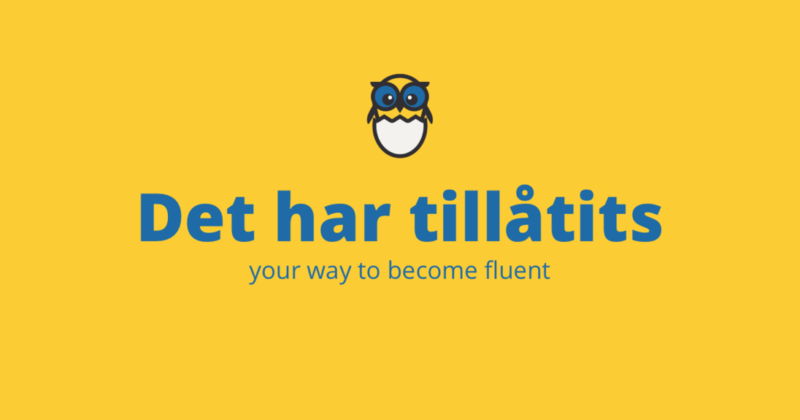 Using a passive form is not that common in Swedish as in English. We use it when we are not interested or we do not precisely know who a subject of an action is. Man måste minska utsläppen. — Utsläppen måste minskas. One has to reduce emissions. — Emissions have to be reduced. De bygger mycket på stan. — Det byggs mycket på stan. They are building a lot in the city centre. — It is being built a lot in the city centre. Vi använde bilar för mycket. — Bilar användes för mycket. We were using cars too much. — Cars were being used too much. De har tillåtit det. — Det har tillåtits. They have allowed it. — It has been allowed. As usual, it is not that easy with the grammatical rules. Note that not all verbs ending with “-s” are in a passive form. Jag trivs som fisken i vattnet — I feel comfortable (in this situation). Man andas hela sitt liv. — One breathes all one’s life. This is all for today’s lesson. I hope that you like this lesson and find it helpful and interesting. Thank you for coming here and see you soon. Bye bye!